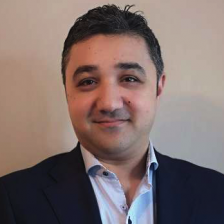 Zumar is a highly proficient and accredited Compliance Programme Manager and Head of Change with over 20 years’ experience managing data protection programmes within the Retail (Sainsbury’s Group), Telecoms (T-Mobile) and Banking (Lloyds Banking Group, Barclays) sectors in the UK and EU. His work with marketing and data companies on GDPR compliance over the last 3 years has given him detailed insight into the way in which our personal data is captured, stored, processed, packaged and at times sold to and between companies without our explicit understanding, though consent is often given. Enter Dayta, a personal data monetisation start-up looking to create a practical, pragmatic and incentivised service where businesses and users can mutually benefit.